“The past never remains in the past,” muses Nathaniel Williams, the narrator of Michael Ondaatje’s eighth novel, as he tries to piece together fragments of information and memory about his childhood. We are in familiar Ondaatje territory here – sensuous prose, curious characters, missing threads, unstable footings. But which of these fragments has real significance? “Do we eventually become what we are originally meant to be?” ponders the narrator – and the reader – as each searches for meaning. And much has happened. This mesmerizing novel begins in 1945, when Nathaniel’s parents disappear, leaving Nathaniel, then 14, and his 16-year old sister in a grimy, postwar South London, “in the care of two men who may have been criminals.” Ostensibly, both parents are going to Singapore for a year, for their father’s new job. Meanwhile, the two men – Walter (tagged “the Moth” by the children for his “shy movements”) and “the Pimlico Darter” (an ex-welterweight boxer) – fill the house with bizarre visitors. As Nathaniel reassesses what happened, he reflects, “The arrangement appeared strange, but life still was haphazard and confusing during that period after the war.” Blackouts, unlit grey buildings, pools of lamplight – this London is a city of secrets. Then the children find their mother’s steamer trunk, which they had watched her pack with items needed in Singapore, and they realize she hasn’t really gone. The discovery changes everything. Nathaniel’s adventures continue – he abandons school, accompanies the Darter on mysterious canal journeys on a barge, is bewitched by a young waitress with a green ribbon in her hair. But throbbing underneath this narrative for both him and the reader are the insistent questions about his mother, Rose. Gradually, the choices she has made and the mystery she generates overshadow Nathaniel’s life. He had been given a job in a nameless department of the British Foreign Office, reviewing archives about intelligence work in the war and postwar years. And Rose’s story had begun to emerge. Her code name, in the shadows of postwar espionage in Italy and Yugoslavia, was Viola: Betrayal, torture and revenge were part of her life while she was away from her children. As Rachel snapped at him during a brief, late encounter, they were both damaged by their mother’s behaviour. For Rose, being their mother had not been enough. Nathaniel’s story merges into hers. At times, it seems that Rose herself is the narrator. Or is this Nathaniel’s voice, as he tries to find the glue between fragments? Some of the mysteries remain unsolved. Some characters, such as the children’s father, are lost; others turn out to be far more significant than first imagined. Rose is disquieting in her fierce determination to remain unreadable. The morality of war undercuts childhood assumptions. 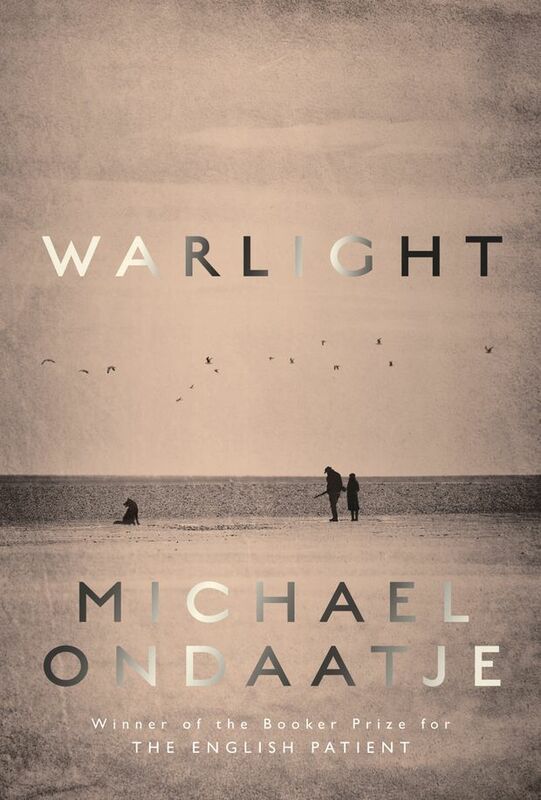 The world that Ondaatje has created is intensely mid-century English, abundant with details of old-fashioned arts such as thatching and beekeeping, and arcane details about greyhound racing and college roof climbing. Scenes depicted in the earlier pages are drenched in the shadowed lighting and elliptical dialogue of classic black-and-white British films such as Brief Encounter or The Third Man. Maps are crucial. The younger Nathaniel tries to anchor his world with hand-drawn maps of his neighbourhood; the older Nathaniel elucidates his mother’s postwar service as a secret agent thanks to a flimsy tracing of contour lines. “Most of the great battles are fought in the creases of topographical maps” is a line quoted (without source) after the book’s dedication page. That is the author’s literary domain. Every sentence that Ondaatje writes defies gravity with its elegance, yet is weighty with significance. Water rushes out of taps “like time itself.” There are baffling loose ends and moments of tension. And yet, underneath the uncertainty there is a sturdy cohesion that makes this one of Ondaatje’s most successful and satisfying novels. Charlotte Gray’s most recent book is The Promise of Canada. She was raised in the half-darkness of postwar England.